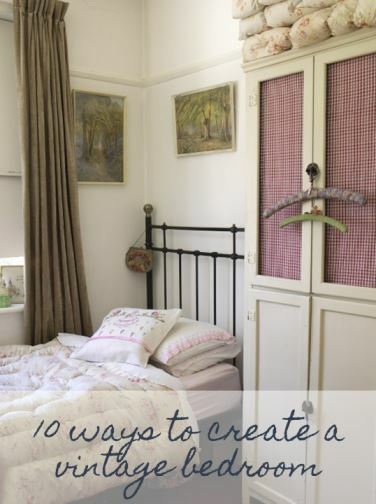 The bedroom is probably the easiest room to create a vintage look in, as it tends to be the space where it is accepted to be more feminine with floral linens and pretty wallpapers. 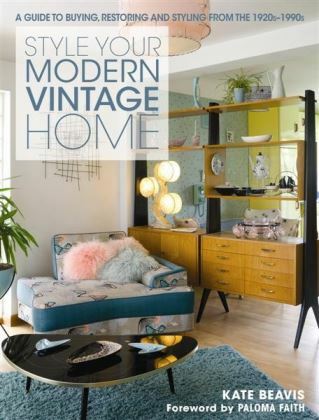 There are two ways to get a vintage or mid century bedroom which I will share today – a mid-century modern space with clean Scandinavian influences from the 1950s-1970s and a more traditional vintage room reminding us of the 1920s-1940s. Furniture companies such as G Plan made great mid century bedroom suites from the 1950s-1970s which are easily found today. In the 1950s, they designed the Brandon range with dressing tables and chest of drawers in light and medium oak with simple styling and details such as splayed legs and matching wooden handles. Their later Fresco range, in a medium teak wood, introduced beds with integrated floating bedside tables and vinyl headboards. These can be used today, pushed up against a standard bed to get that mid-century modern look. 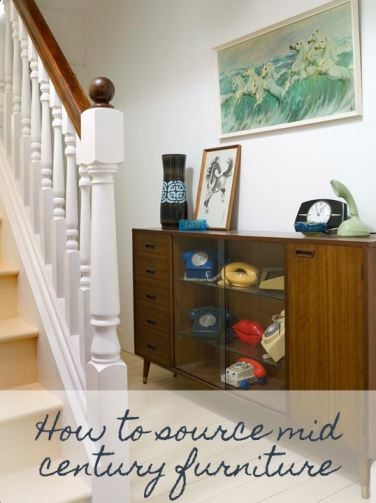 For advice on where to find these key pieces, read my blog also for Real Homes How To Source Mid Century Furniture. Create a feature wall using original wallpaper in bright retro colours or choose modern wallpaper and hang it across all four walls for a more impactful effect. 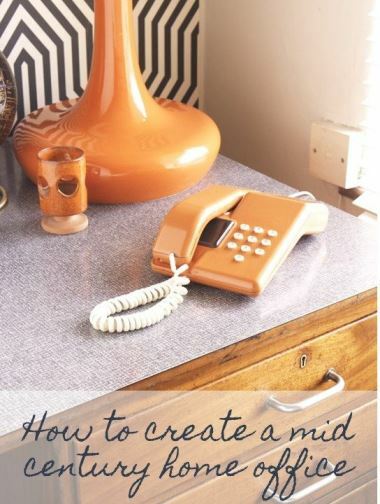 Key colours from this period that still work well today are burnt orange, teal and mustard yellow, which all look great with a basic grey or cream paint. I love Starflower by Little Greene, Wayne Hemingway’s Carnival Zest and the more affordable Trippy both from Graham and Brown. In any room, storage is essential especially in a mid-century bedroom where you want to achieve clean lines with not too much clutter. Choose fitted wardrobes (as original ones are never large enough) with doors that have little fuss such as a cream gloss without handles. Look out for teak sewing boxes on splayed legs to store jewellery and accessories in as well as metal trunks for linen. There are so many lovely pieces of mid-century lighting out there that the hardest part will be choosing which to buy. Choose vintage ceramic lamp bases and team up with a plain modern shade to draw your attention to the textures and tones within the pottery. Alternatively, go for a simple teak base with an upcycled shade which has been covered with original retro fabric. 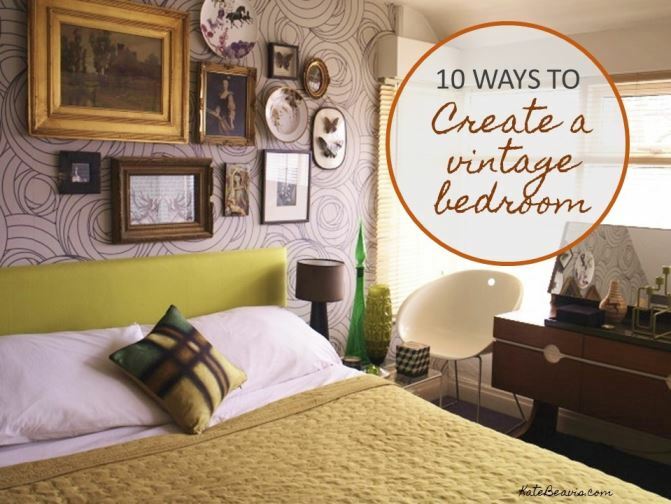 The key to creating a vintage bedroom is to choose mis-matching furniture so it looks like you have collected them over the years (as you may well have done!) For the bed I would choose a cast iron frame which you can buy new from Laura Ashley, Marks and Spencer or Ikea. 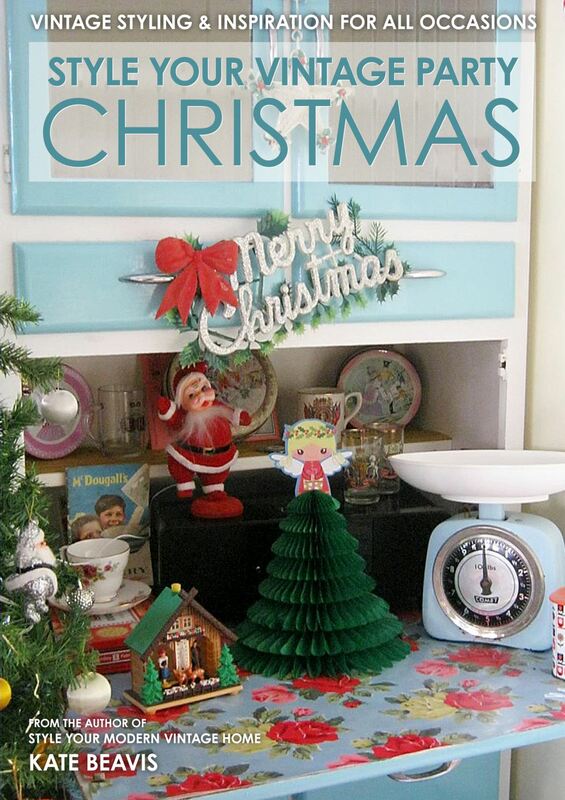 Choose 1940s utility furniture or older pieces which you can always paint in cream or a brighter colour, although please only do this on pieces that need it and cannot be restored. 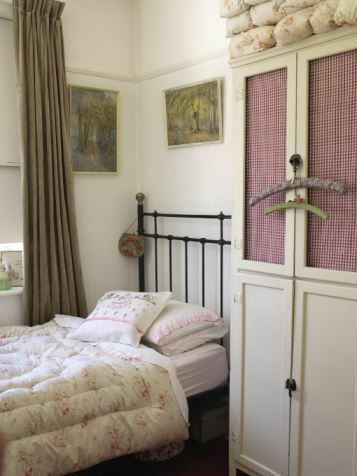 1920s rattan furniture such as Lloyd Loom bedroom chairs and linen baskets also work really well here – look out for bedside tables in this material too. I would hang wallpaper on every wall in a vintage bedroom, sometimes choosing two patterns that tie together by a key colour. 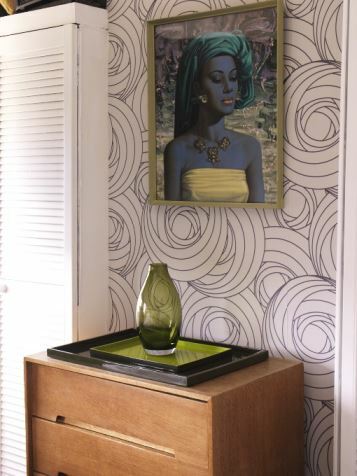 Paint the woodwork in a hue that you pick out from the wallpaper such as pinks and greens – green was very popular in the 1930s and 1940s and will give you an authentic look. I love William Morris designs especially in green tones as well as K2’s Lucy in yellow and Graham and Brown’s Foxglove in lilacs which remind me of old nature drawings. 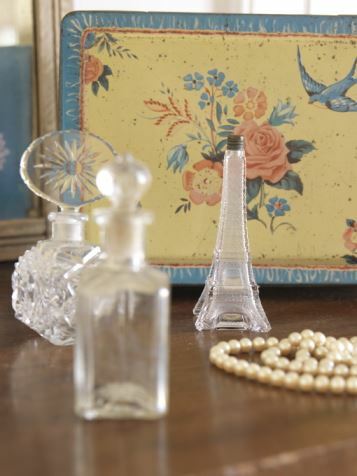 As this style allows for more clutter, don’t store everything away! 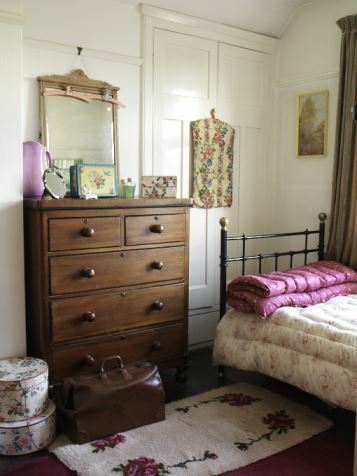 However vintage cases, trunks and hat boxes make great storage and sit well in a large pile in the corner or at the end of your bed. 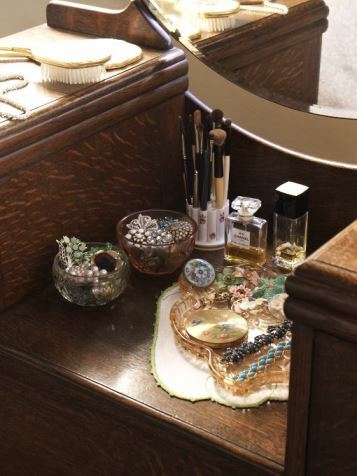 Store jewellery in glass bowls on your dressing table, hang handbags from the end of the bed, in a glass fronted cocktail cabinet or even on the wall! Creating mood lighting adds to the vintage feel so choose standard lamps with fringed shades from the 1920s in muted tones to tie in to your colour scheme. 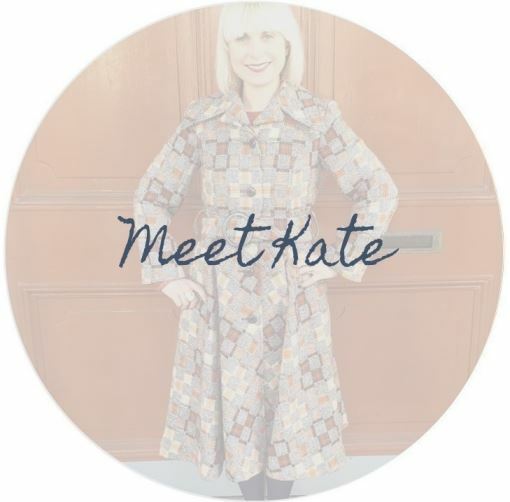 Hang a chandelier from the ceiling which can either be modern from shops such as John Lewis or Laura Ashley or vintage such as an original French piece with metal flowers as well as peeling paint!